Speaking from experience, Funko Pop! vinyl figures are very addictive to collect. They seem to have every character you can possibly think of, and the ones they don't have seem to be on the way. One of the newest characters to get the Funko treatment is none other than everyone's Torgruta Jedi, Ahsoka Tano. 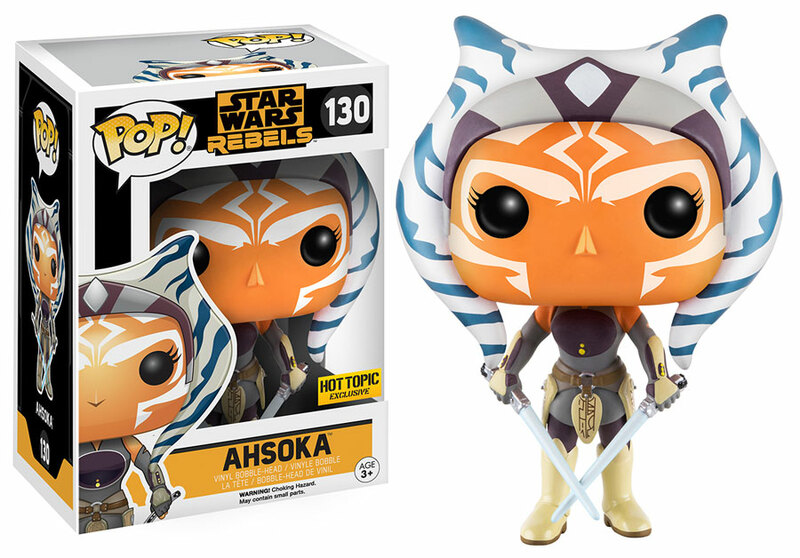 Last week at the Ahsoka's Untold Tales panel at Star Wars Celebration Europe in London, the voice behind Ahsoka, Ashley Eckstein, announced that a new Ahsoka Pop! figure is on the way and it will be exclusively available at Hot Topic. Ahsoka will reportedly be kicking off a brand new line of Star Wars Rebels figures that are coming soon. The Ahsoka Pop! figure will be available in Hot Topic stores this Fall.